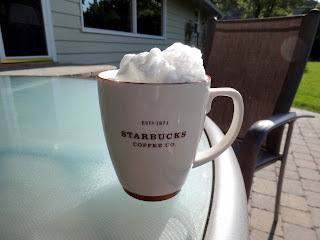 Squash House Quilts: Morning Coffee and Something for Woolies! ...these! 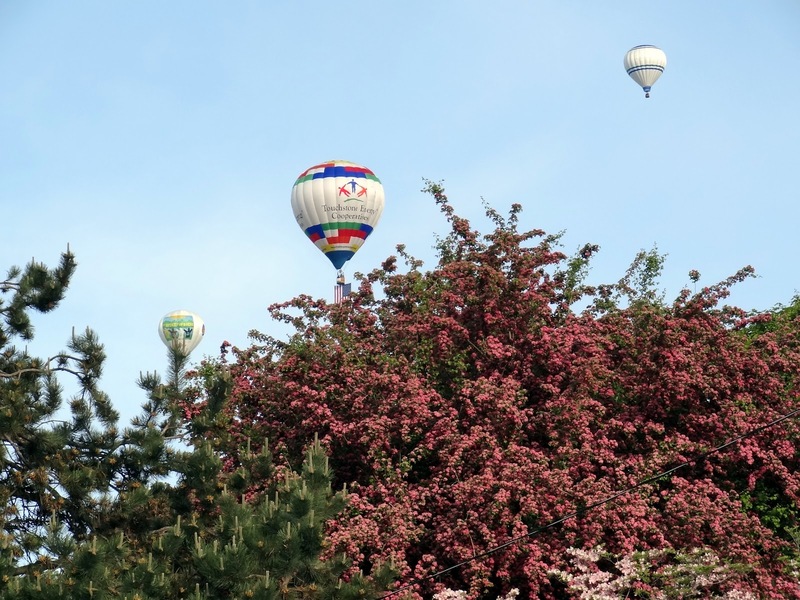 Yes, our 38th annual Balloon Stampede is in town. Last year the weather wasn't good enough for them to fly so we crossed our fingers is would be good this year, and it is! We have some friends from our old house in town for the Stampede. I served brunch here after yesterday's balloon flights. Today we're having them for dinner. How nice of Mother Nature to oblige us with such incredible weather! This coming week the temps are expected to soar into the high 80's! This poor balloon was having trouble with altitude. We were hoping they would make an emergency landing at the Squash House, but they finally got airborne! Last week at the quilt show in Pendleton, I had an opportunity to meet a new exhibitor thanks to a tip from a fellow blogger. This is Cathy Ware of Wild Hare Fiber in her booth. Not long ago Cathy was laid off from her regular job. She knew she had to do something, so she dove right into the wool business! And I must say she is doing everything right! Not only is she a delight to talk with, her booth is colorful, well designed and full of the most gorgeous, hand dyed wools along with patterns and other needfuls! Cathy and her husband hand dye most of their wool. Cathy designed this wool bag and will soon have a pattern for it! 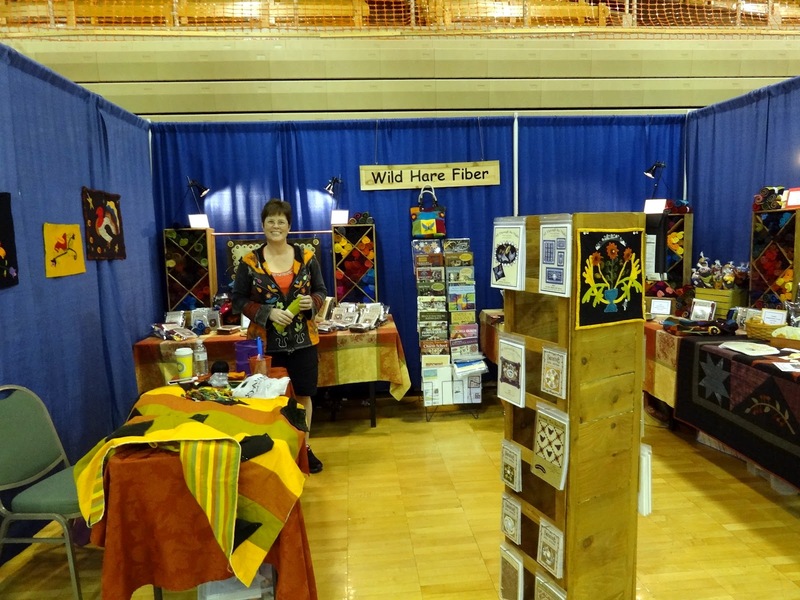 If you're going to Sisters this summer for the quilt show, be sure to look for Cathy. She'll have a shop there during the month of July! You "Woolie's" out there will love the quality of her wool and the absolutely yummy colors! Wish I was there!! 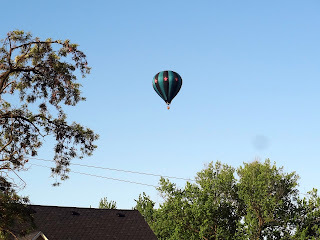 What a wonderful spot to watch the balloons.......your own backyard. Have a good weekend. Looks like fun. Ohhhh, thanks for the heads up. I'll be sure and look for her. Have fun visiting with your friends. Great blog post Candace! Thank you for sharing about Cathy. She has the address of the shop Anne and Terry....183 Hood Avenue...next door to Lil Buckaroo shop...cannot wait to get over there and help her set up . 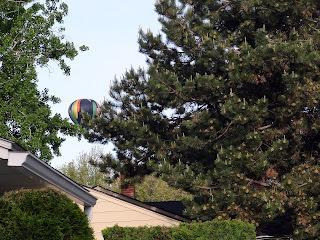 I used to live in a town that had a hot air balloon rally and they would fly over our house. 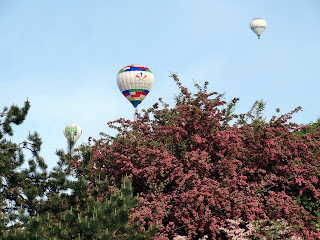 It was such fun to see them flying around. I wish I could go to Sisters. That would be so awesome. 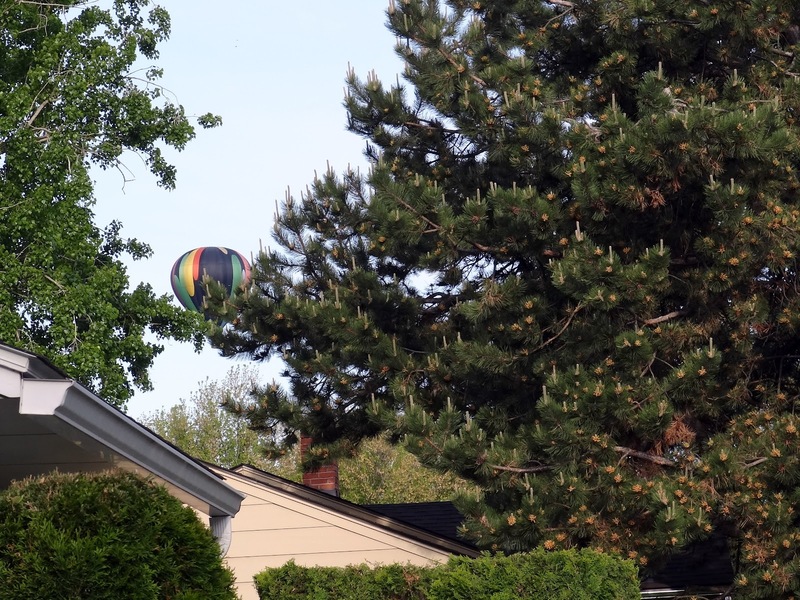 What a way to start the day, coffee and hot air balloons flying over your house! 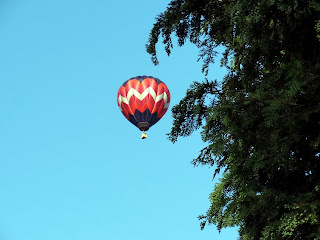 How fun to sit at your house and watch the balloons fly overhead. Gorgeous sky. 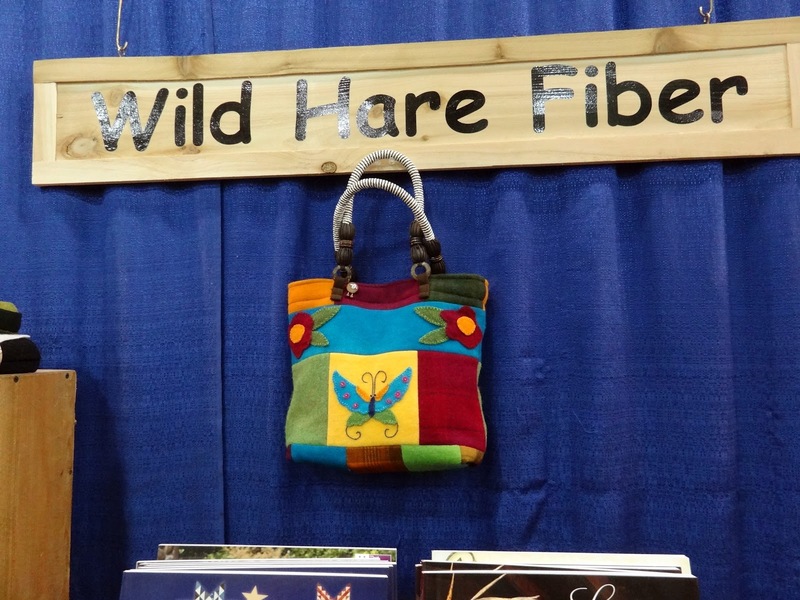 Love the name Wild Hare!